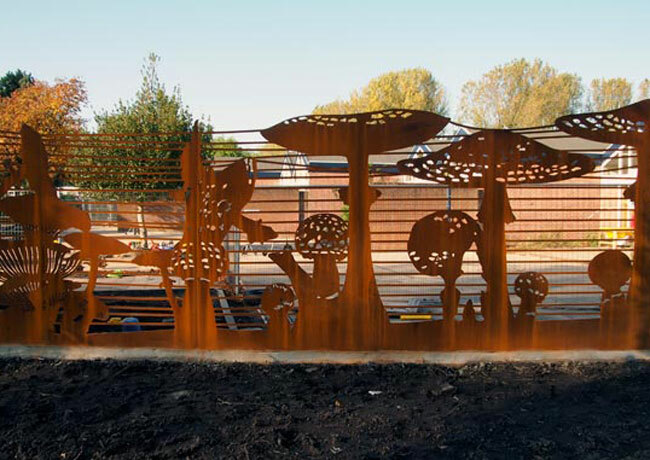 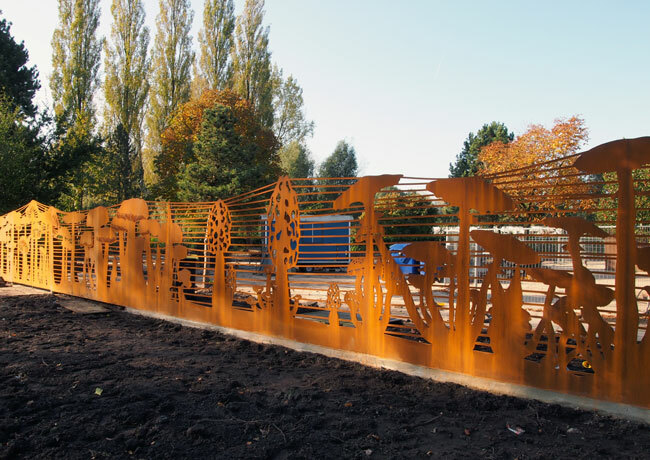 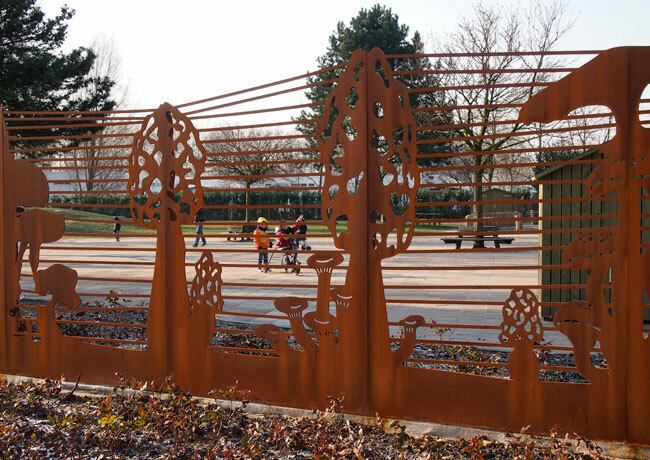 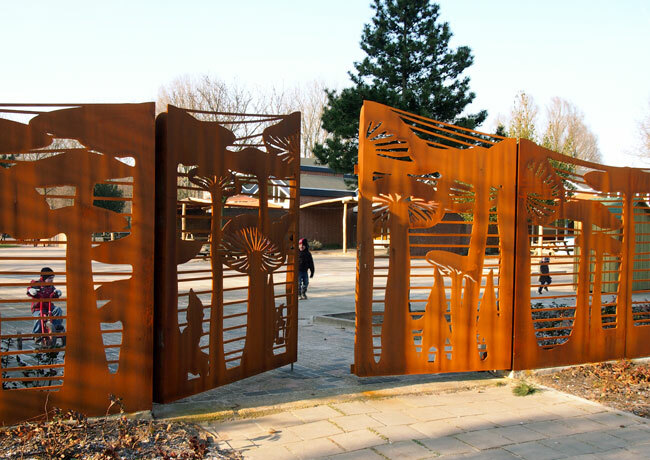 The design of this fence was inspired by the building of ‘t Kabouterhuis West. 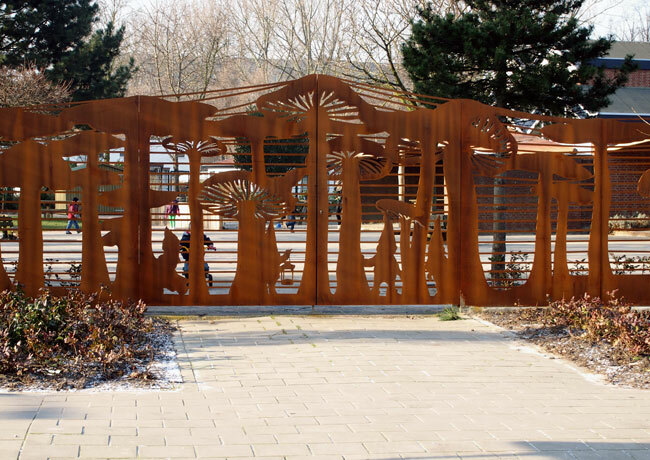 Kabouterhuis, fittingly translated as “ the gnome-house,” is comprised of a number of small, joined houses. 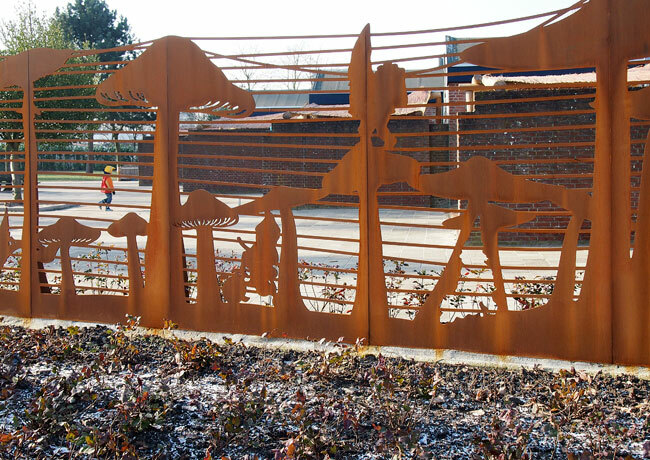 Filled and silhouetted figures of gnomes are hidden within the fence. 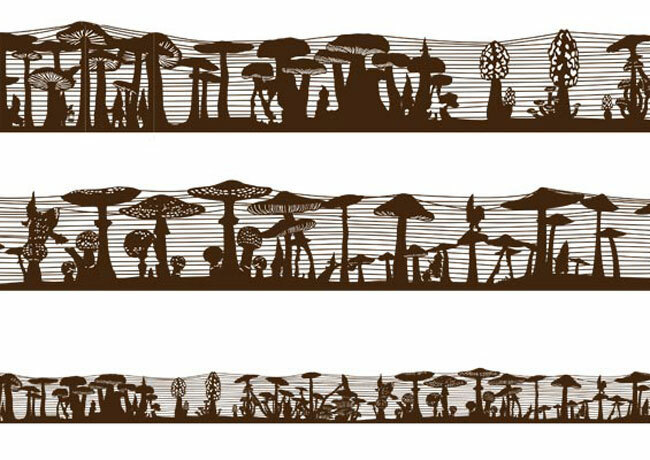 As if taken from the pages of a storybook, the life-sized gnomes and the fence’s detailed toadstools invite children to step out of reality and into a magical world. 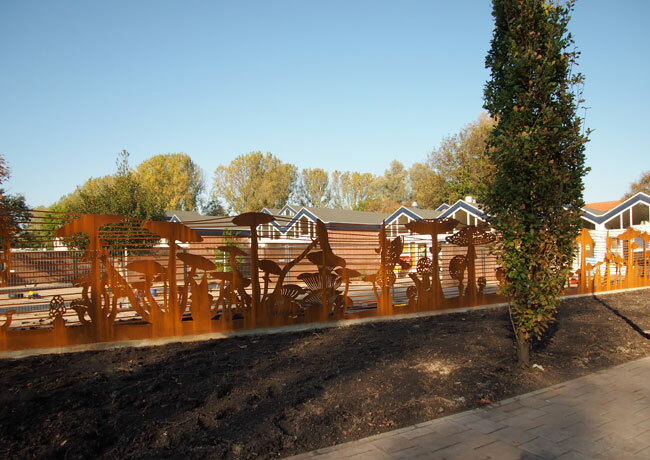 This Fence is supported by the AFK (Amsterdam Fund for the Arts).